. إن الخدمات الممتازة وحسن الضيافة العالي في Te Mata Lodge تجعل إقامتك تجربة لا تنسى. إن تخزين الأمتعة, واي فاي في المناطق العامة, صف السيارات, غرفة عائلية, مرافق للشواء هي جزء فقط من الخدمات التي تميز Te Mata Lodge عن باقي الفنادق في المدينة. في الفندق غرف نوم يتجاوز عددها 6، كلها مجهزة بعناية وجمال وبعضها مزود بـ اتصال لاسلكي بشبكة الإنترنت (مجاني), غرف لغير المدخنين, تدفئة, شرفة/ تراس, ساعة منبه. صممت خدمات الاستجمام في الفندق والتي تتضمن شاطئ خاص, ملعب للأطفال, حديقة, رياضات مائية (غير آلية) لمساعدتك على الاسترخاء والراحة. اكتشف مزيجاً ساحراً من الخدمة الاحترافية والخيارات الواسعة من وسائل الراحة والمتعة في Te Mata Lodge. 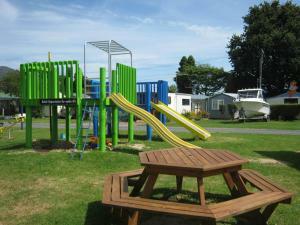 The cottage was very nice and the facilities are great for our kids. They love the kayaks and trampolines. Relaxing, I would have loved to stay longer. Easy to find with explicit directions - We stayed in a 2 BR fully self contained unit that had everything needed for a long term stay; including books, CD'S, & Videos for every taste. The Lodge is located about half way between Thames & Coromandel town & is a work in progress that shows the care that the owners are putting into it. Even with some small inconveniences with the parking access I wouldn't hesitate to stay again when in the area. The unit we stayed in had the best stocked kitchen with appliances & utensils that we've ever come across. The people who own and work here; the location - more sheltered side of the coast; value for money - lots to do for free on the property itself, especially with kids. Lovely, friendly hosts and a humble but perfect family cottage. We stayed in the 2 bedroom cottage. 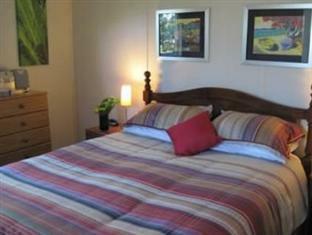 There is a queen bed in each room, as well as two extra singles in the larger end bedroom. Great, functional kitchen - only thing missing was some Tupperware for the microwave and leftovers. Shower is small, but still managed to fit two small kids in there at bath time. It rained the few days we were there, but we still managed to have a swing near the creek, and walk around some of the property, saying hello to the free range chickens, and chatting with the owners. Really loved having a wood burning stove in the cabin on those cold nights too (although there are also heaters in each room, and electric blankets if required). The cabin is nestled right in the bush, so has stunning views from all the windows. Really appreciated how the family take their Eco credentials seriously all around the property. 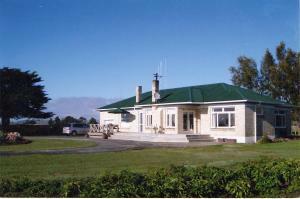 Our stay at te mata was lovely and not long enough. We found it good as abase travelling to cathedral cove on a beautiful winding road through the mountains and hot water beach one day. Then along the east coast up too coromandel town the next. The hosts were inviting and very willing to help with anything we needed. The lodge we stayed in was inviting and warm making it easy to sleep in and lovely to wake up too the beautiful bush setting. There is a beautiful part of the river running through the property which was perfect for taking the children on the supplied kayaks and swimming in. The hosts also made us awre of a bush walk leading to the beach and a night walk containing glow worms would recommend to all future travellers. fantastic - loved it!OUR LITTLE SELF CONTAINED COTTAGE HAD A DECK OVERLOOKING THE BUSH & THE SOUND OF THE RIVER WAS DELIGHTFUL! 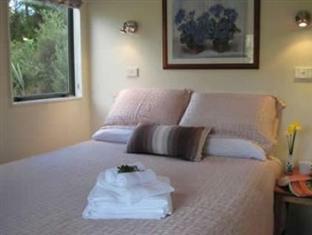 A lovelly value family stopover, worth two nights, take barbecue or picnic food but local pub. Low high school kids can wander up and down river and rocks, lots of walking tracks, would return, especially if weather mild, very private. Welcomed by friendly owners. Self-contained cabin in beautiful setting with lovely view. 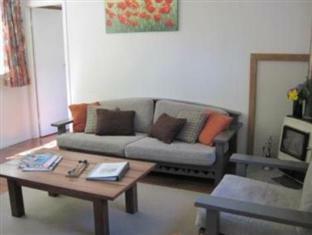 Well located as a base for exploring the delights of the Coromandel Peninsula. All very comfortable, cosy and tasteful. Lovely place, lovely hosts, clean, beautiful river, great hammocks. Overall highly recommend. Un séjour qui a débuté avec un accueil formidable , un chalet confortable en pleine nature , la tranquillité rythmé par le chant des oiseaux et la musique de la rivière , des piscines naturelle ou les enfants peuvent se baigner et faire du canoé en sécurité . Nous reviendrons pour rester plus longuement .